Foti Chronopoulos, MD started Women’s Care Group in 1999. He is a graduate of UIC Medical School. Following graduation, he completed his residency at Cook County Hospital in Chicago. Dr. Chronopoulos is Board Certified in Obstetrics and Gynecology with a special interest in minimally invasive surgery. He is on staff at the following Chicagoland area hospitals: Advocate Christ Medical Center in Oak Lawn and Little Company of Mary in Evergreen Park. Dr. Chronopoulos speaks Spanish and Greek. Alan Luke, MD joined Women’s Care Group in 2005. He is a graduate of Rush Medical College and completed his residency at Rush- Presbyterian-St. Luke’s Medical Center in Chicago. Dr. Luke is Board Certified in Obstetrics and Gynecology with an interest in minimally invasive surgery. Dr. Luke is on staff at the following Chicagoland area hospitals: Advocate Christ Medical Center in Oak Lawn and Little Company of Mary in Evergreen Park. Tejas Sheth, MD joined Women’s Care Group in 2015. She graduated from Saba University School of Medicine in the Dutch Caribbean and completed her residency through the Rochester General Health System in Rochester, New York. She is certified in robotic surgery. Dr. Sheth is fluent in the languages of Gujarati and Hindi. She is on staff at Advocate Christ Medical Center and Little Company of Mary Hospital. Maria Kronlage, DO joined Women’s Care Group in 2018. 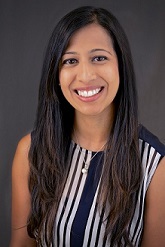 She is a graduate of Midwestern University: Chicago College of Osteopathic Medicine and completed her residency at Presence Resurrection Medical Center in Chicago. Dr. Kronlage is Board Certified in Obstetrics and Gynecology with an interest in minimally invasive surgery, adolescent gynecology, and reproductive problems. Dr. Kronlage is on staff at the following Chicagoland area hospitals: Advocate Christ Medical Center in Oak Lawn and Little Company of Mary in Evergreen Park. Mary Bisaga, CNP, FNP joined Women’s Care Group in 2006. She received her undergraduate nursing degree at the University of Iowa. After nursing school, she worked as a Labor and Delivery Nurse at Advocate Christ Medical Center for 7 years. She then attended Purdue University Calumet for graduate school and earned a Master of Science in Nursing. She is Board Certified as a Family Nurse Practitioner. She is on staff at Advocate Christ Medical Center and Little Company of Mary Hospital. Rebecca Lawrence, CNP, WHNP joined Women’s Care Group in 2013. She received her undergraduate nursing degree at the University of Illinois at Chicago. After nursing school, she worked as a Labor and Delivery Nurse at MetroSouth Medical Center for 3 years. She then attended the University of Illinois at Chicago for graduate school and earned a Master of Science in Nursing. 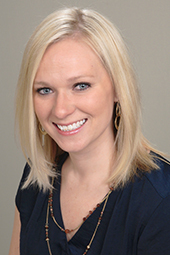 Rebecca is board certified as a Women’s Health Nurse Practitioner. She is on staff at Advocate Christ Medical Center and Little Company of Mary Hospital. 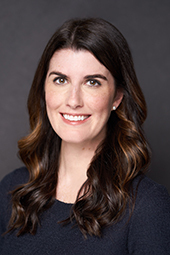 Ashley Fajardo, CNP, FNP joined Women’s Care Group in 2012 as a registered nurse and in 2018 as a Nurse Practitioner. She received her undergraduate nursing degree from Trinity Christian College. After nursing school, she worked as a labor and delivery nurse at Metro South Medical Center for 2 years. She then attended Olivet Nazarene University for graduate school and earned a Master of Science in Nursing. She is Board Certified as a Family Nurse Practitioner.